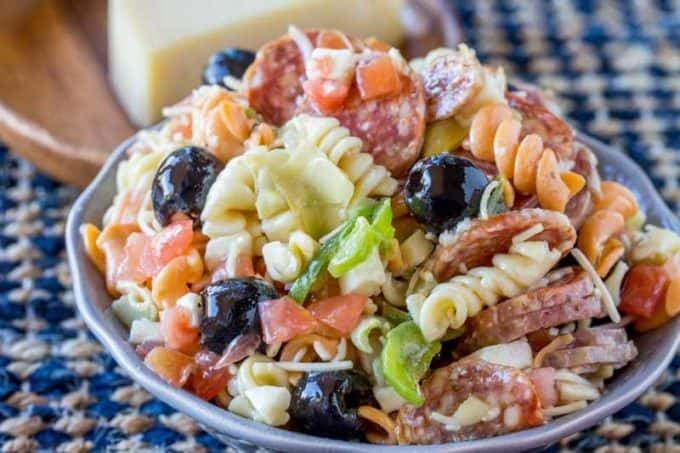 Italian Antipasto Pasta Salad is delicious and easy with creamy Italian dressing, cheese, salami, olives, tomatoes, bell peppers and pasta that’s the perfect addition to your summer menus! 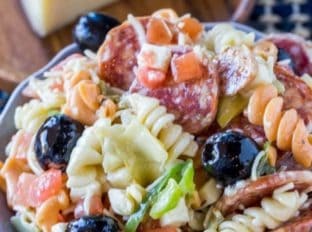 Italian Antipasto Pasta Salad is a mix of two of my favorite sides, your favorite Antipasto Salad (including my version of Olive Garden’s creamy salad dressing!) and Pasta Salad. Italian takeout is our second favorite go-to when we don’t want to cook (our first is Chinese food which is why you guys find SO MANY Chinese food copy cat recipes on this site). One of our favorite places in Los Angeles to order from has an Antipasto Salad we order in multiples because everyone fights over it instead of the pastas and garlic bread. 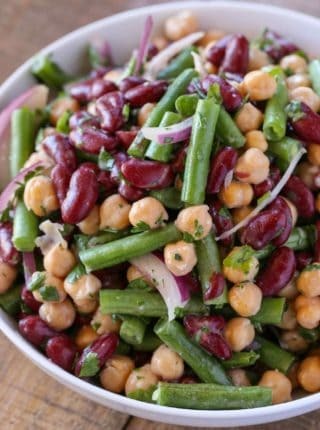 Looking for more summery side dishes? 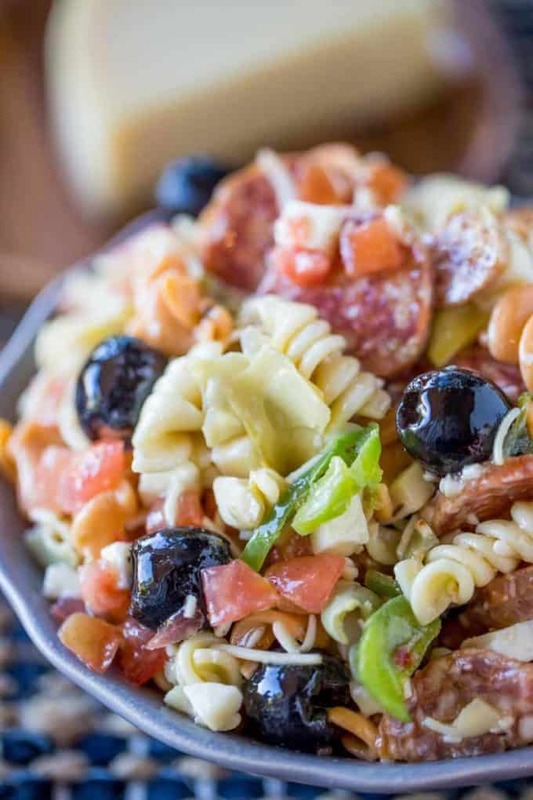 Yes, you’re serving this as a cold Antipasto Pasta Salad, it doesn’t work as well warm since it’s a mix of salad flavors and pasta. Its totally easy to make and it is perfect for a crowd! Mix the pasta with the dressing and add it to a long rectangular platter. Add the additional ingredients in little groups around the edges of the platter. 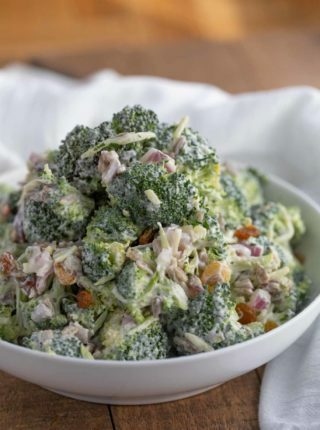 Drizzle extra dressing over the rest of the ingredients. Today is also a HUGE day for the blog. Please refer to Dinner, then Dessert is Adulting! What do I mean by that? 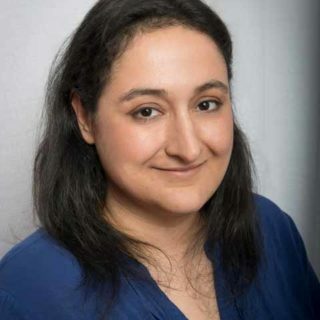 Well if you are reading this post then you’ve probably noticed the blog looks a whoooole lot different, more polished and downright grown up. This has been in the works for a very long time and I’m just so thrilled with how it turned out. The link I posted just above this sentence (right up there ^) will walk you through some of the changes and ways to navigate the site. You may also catch me being all emotional because this little blog means so much to me that I’m thrilled to give you guys an upgrade to the aesthetics as well as your user experience. So much love for you all. Tricolor Rotini: This isn’t necessary but adds a fun addition of flavor and color, you can of course use plain rotini or my favorite corkscrew pasta, Cellentani. AllSpice Spice Rack: I use this spice rack and fill up the bottles with freshly purchased spices. It’s basically one of the most beautiful things in my kitchen and when you’re working with a large quantity of spices, not having to hunt and peck through your cupboards makes everything go at warp speed. White Wine Vinegar: Anytime I use white vinegar or white wine vinegar in a recipe I get questions about this so I wanted to point out that there is a significant difference between the two vinegars. White wine vinegar is MUCH milder and sweeter than plain white vinegar. If you swap them thinking there isn’t much of a difference you’ll absolutely have a different flavor than expected. 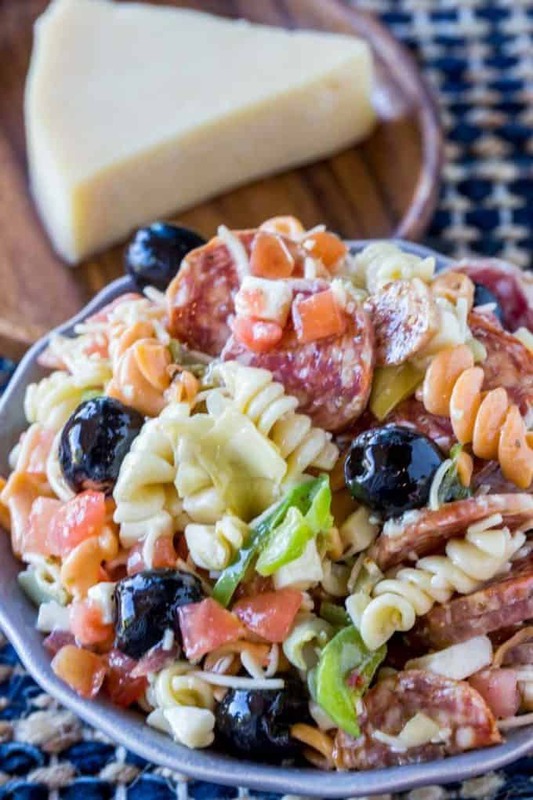 Italian Antipasto Pasta Salad is delicious and easy with creamy Italian dressing, cheese, salami, olives, tomatoes, bell peppers and pasta that's the perfect addition to your summer menus! Mix the olive oil, white wine vinegar, mayonnaise, lemon juice, Parmesan cheese, garlic salt, dried basil, dried oregano and dried marjoram in a small bowl and whisk until well combined. 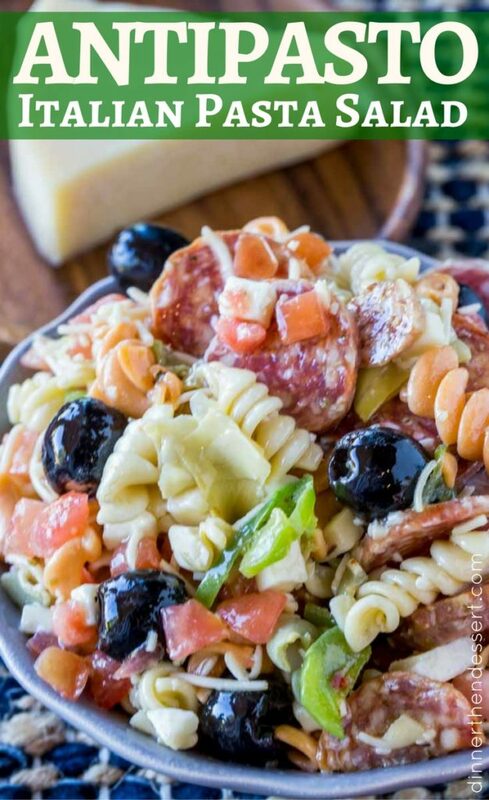 In a large bowl add the pasta, salami, mozzarella cheese, tomatoes, black olives, green bell pepper and artichokes. Add the dressing and toss gently. I have to say, even though I agree with the comment that this is not a true antipasto… I’m going to give it a whirl… I’m from Texas and am not up on the latest pasta dish but just from reading the ingredients.. I can tell it’s a winner!! I just made it and it taste sour? Maybe yo much vinegar or lemon juice can I do anything to calm that down? So sorry this got snagged in my spam filter. I would suggest a teaspoon of sugar usually. 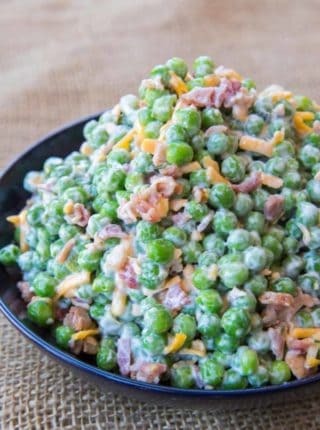 One of my favorite side dishes for summer! Love it! Oh my gosh, I want this so bad. Antipasto is one of my faves! Italian is our second favorite too (Mexican is our first). 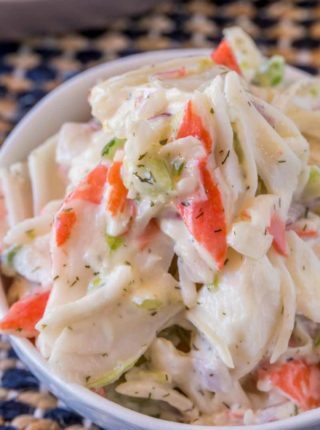 But this pasta salad could help change my mind! I know what I will be having for lunches this week! Oh, this looks absolutely incredible! What a pasta salad! 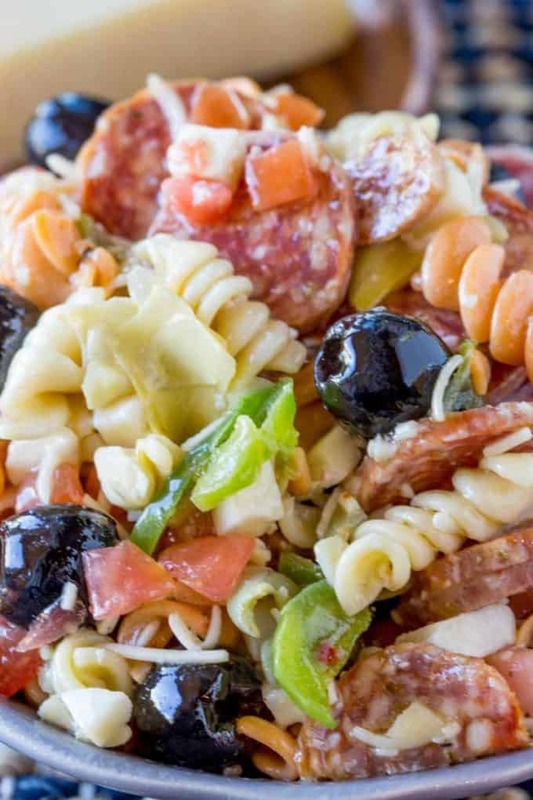 Your ITALIAN ANTIPASTO PASTA SALAD looks awesome. I’m planning on making it for our in-laws. What do you serve with it? I love it with grilled meats (chicken preferred) which I top with either a creamy marinara (cold! – I know thats weird but with the cold pasta salad, if you have a good creamy marinara on top it will be delicious) and some shaved parmesan. I just ate and now I am hungry again thinking about it! This is perfect for me to make for the next BBQ I attend! I’m dreaming of eating this salad and my mouth is watering. It’s packed full of amazing flavor!